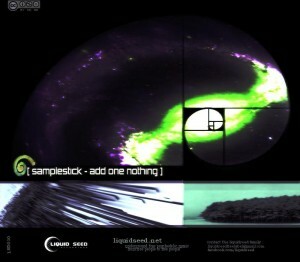 Liquid Seed Recordings is proud to present its tenth free release, Add One Nothing by Greek producer Samplestick (Giorgos Koutsogilas). With a focus on ambient sound waves, deep atmospheres, and loud beats, this is a harmonious kaleidoscope of progressive and downtempo vibes. Keep on lovin’ and living! Mastering and artwork by Acid Lagos. MP3 Download | FLAC Download | WAV Download · Download count: 9,439. Fantastic ! ! ! MORE Please! Awesome, thanks so much! Been listening to this album on repeat for the past week. Please send us more! special thanks to all for your great support!!!!!!!!!!!!!!!! try from official liquid seed site !!!! !